Soak beans overnight. Put them in the crockpot and cover with 4 inches of water. Dice onion and put into the crockpot. Dig holes for the pork and place them into the crockpot. Pour wine into measure cup and add spices, garlic, and mustard. Stir it all up until blended (try not to cry over wasted wine, because it really adds some great flavor-alcohol burns out :)) Pour that into crockpot too. Grind salt and pepper over it. Garnish with whatever you want. I did avocado and Siracha. This makes a lot! I’m feeding 5, and still had leftovers for another meal. Modify how you want, or freeze for delicious leftovers! 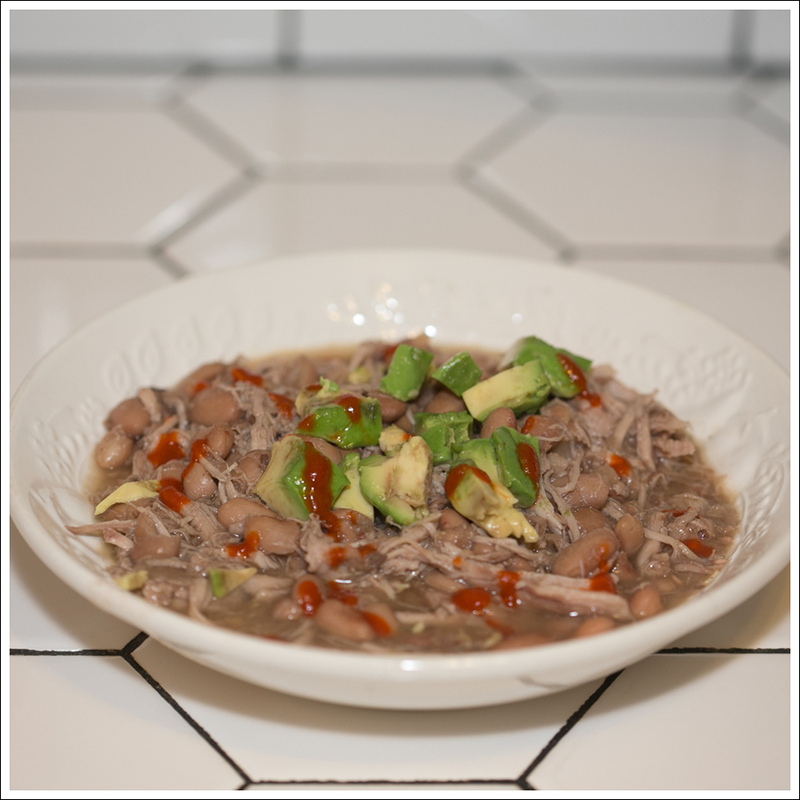 This entry was posted in Crockpot/Slowcooker, Food and tagged Beans, Crockpot, Easy Dinner, Healthy Dinner, pork, Slowcooker on February 10, 2014 by laurenkahan.